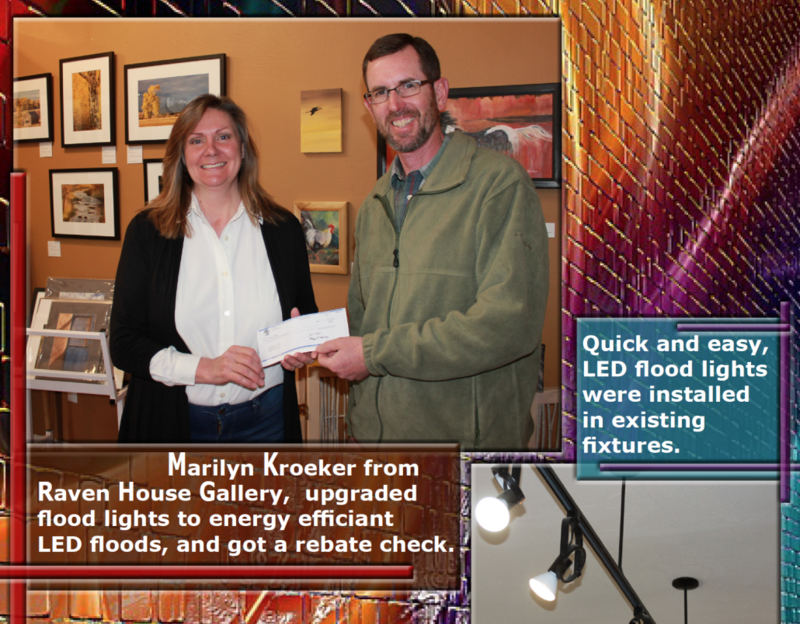 Since January 2018, Colorado electric co-op, Empire Electric Association, has presented over $15,700 in rebates to 10 local businesses that built, updated or retrofitted their spaces with LED lighting. A new cider brewing company in Mancos outfitted its tasting room lighting with LED pucks for a pleasant and inviting look and feel. It also installed bright LEDs in the brew room’s high ceilings for an efficient and well-lit workspace. LED horticulture lights are now installed at The Herbal Alternative, which save on energy and are passively cooled. Less heat is generated by LEDs compared to the old lighting, helping to maintain the correct temperature for the plants. In another retrofit, 6500 Kelvin lighting brought new sparkle to an antique store in Cortez, updating the space with bright white lights. Steve Keetch Motors retrofitted existing showroom fixtures with LEDs, as well as placing them in the service garage, offices, waiting room and restrooms. These efficient bulbs make lighting spaces more efficient and cost-effective. Denise Moore, EEA’s communications specialist takes photos of the rebate check presentations to share on social media and says that the co-op “Has enjoyed featuring business in our area that take advantage of our rebate program.” This thriving program is just one way that the Cortez-based co-op helps commercial members save money and develop more efficient spaces.